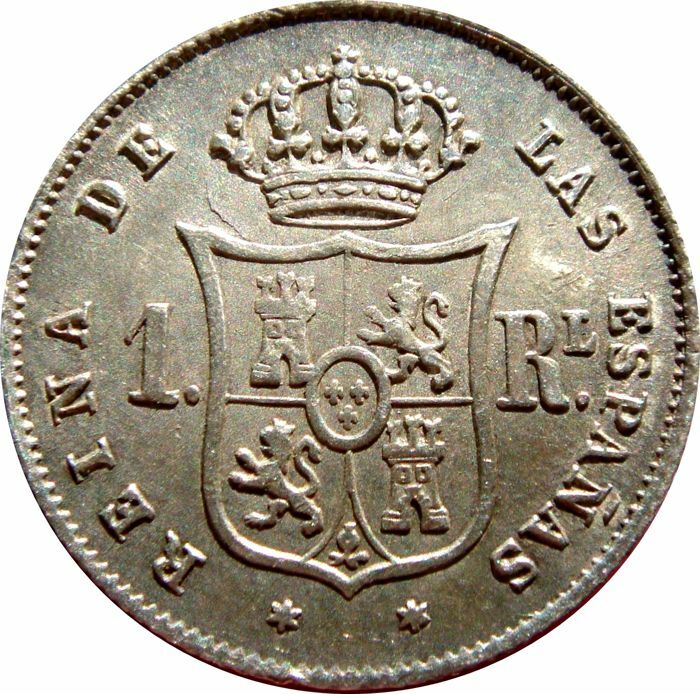 Spain - Isabella II (1833 - 1868), 1 silver real - Madrid - 1852. Excellent preservation, every detail, very beautiful patina. 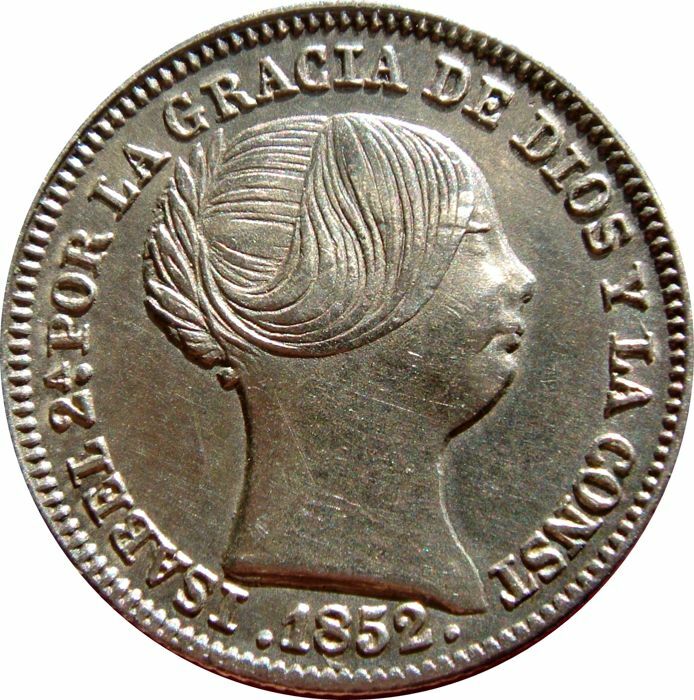 Beautiful queen's bust with hair tied back.